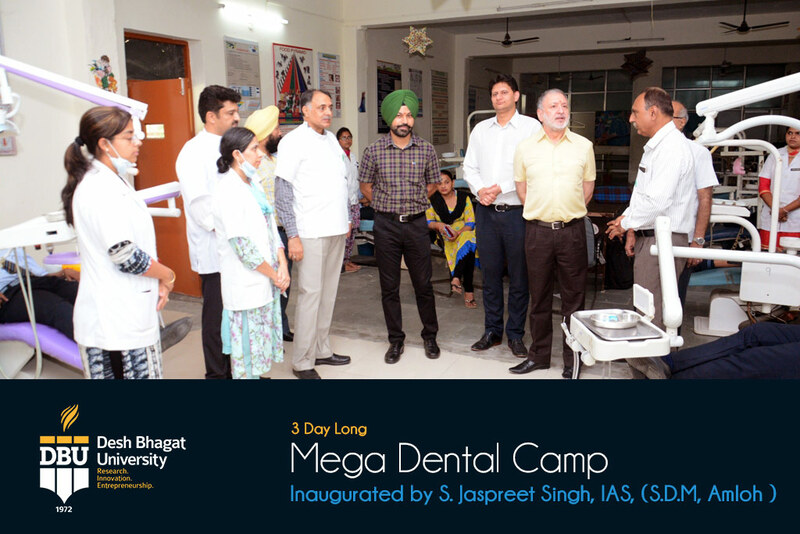 A three day long Mega Dental Camp started at Desh Bhagat Dental College and Hospital providing MDS and BDS courses in Punjab, On day one, a large number of patients visited the dental hospital for treatment. The camp was inaugurated by S. Jaspreet Singh, IAS, (S.D.M, Amloh ). He highly appreciated the initiative of Desh Bhagat Family for organizing such a Mega Camp in a rural area. To create awareness regarding Environmental Protection, he planted a sapling at the campus. 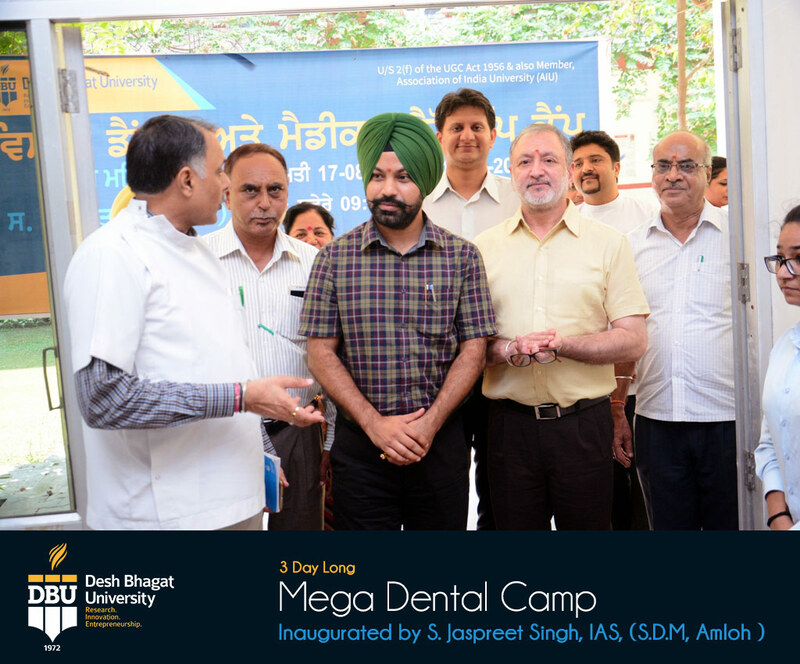 Giving details, Dr. Zora Singh Chancellor, Desh Bhagat University informed that on day first more than 250 patients were examined by the teams of specialist dental doctors. During the camp, besides general check-up and treatment, minor operations and surgery were also performed by the expert doctors. 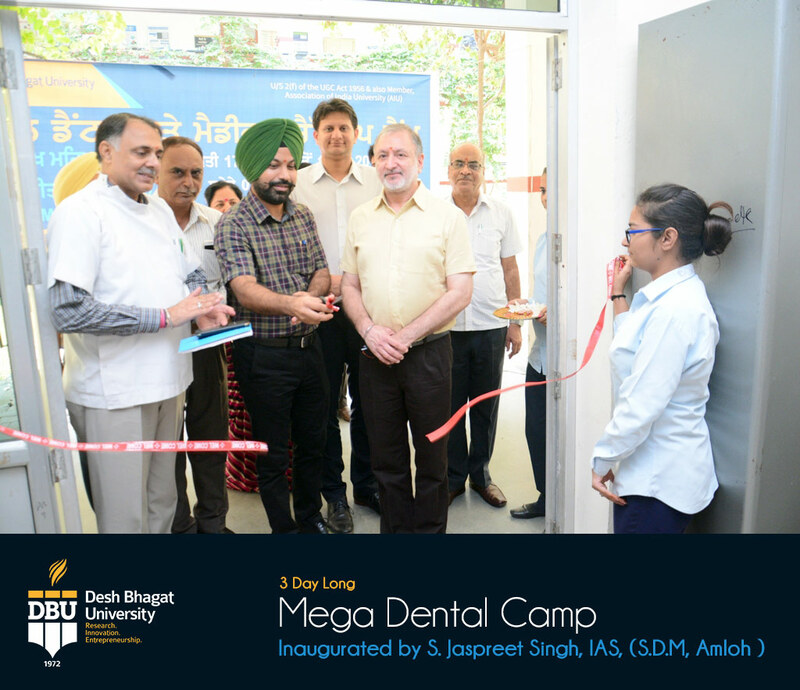 Desh Bhagat Dental College Principal Dr. Rajiv Bali said operations were performed at very reasonablrates Poor and needy patients were given free medicines. Desh Bhagat United Er. 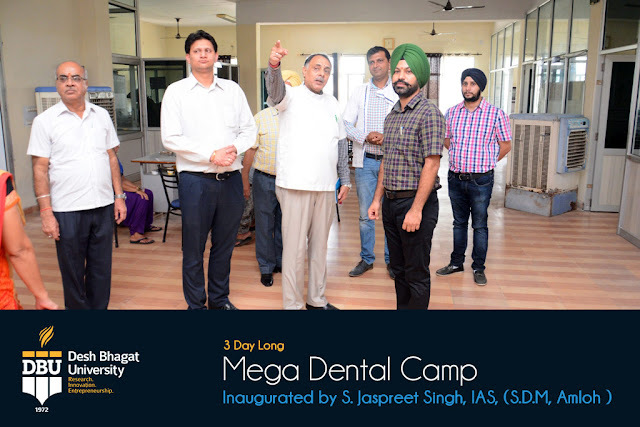 Sandeep Singh said that the objective of this mega camp was to provide health facilities to the needy patients at affordable cost and create health awareness among them. 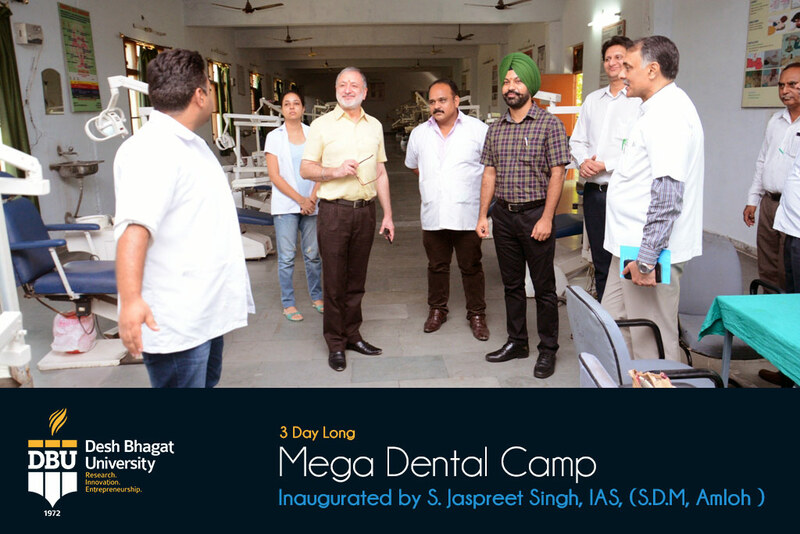 They appealed to the people to get maximum advantage from the services being provided by Desh Bhagat Dental College and Hospital. The hospital has hi-tech equipment and testing facilities of which more than a dozen villages are getting direct benefit. 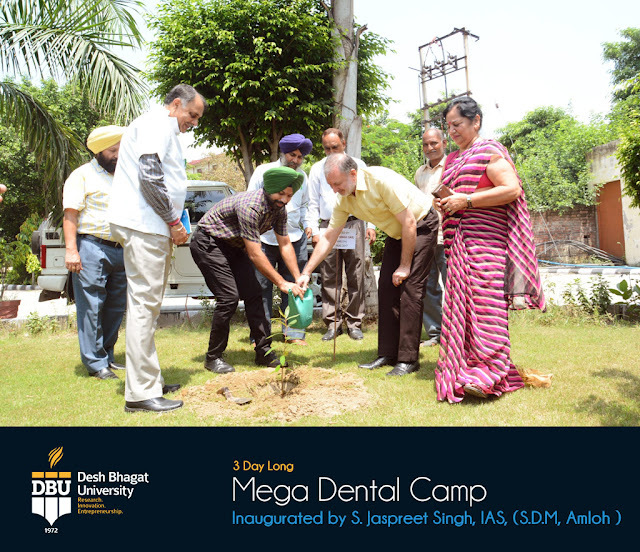 The College besides providing highly sought after BDS courses in Punjab is also distinguished for its M.D.S. courses in Conservative Dentistry & Endodontics, Orthodontics & Dentofacial Orthopedics and Prosthodontics- Crown & Bridge.